Musical Acts, Games, Prizes, Free Give Aways, Celebrities Autograph Signing. For 73 years, nearly 100,000 of East Los Angeles and surrounded communities lined up along iconic Cesar Chavez Blvd. to watch school bands, equestrian units, folkloric groups, floats, and dignitaries, celebrating Mexican Independence Day. The Parade is one of the largest and longest-running Mexican Independence Day Parade. A Parade theme is chosen yearly to reflect the past, present, and future of the Hispanic Community. The Mexican Federations participation along with the community is a huge impact in our Parade, due to their elaborated floats, costumes, live music representing different Mexican states. -Marc Brown- ‘Parade Godfather’ – Marc Brown is the co-anchor for ABC7 Eyewitness News at 5 p.m. and 11 p.m.
-William Garza- ‘Parade God Son’ -The “millennial” romantic Banda singer born in Monterrey, Mexico, represents current and future Latino generations. -Oscar De La Hoya (The Golden Boy) – Former professional boxer joined the parade representing the Los Angeles 2028 Olympic Committee. -Mariano Barba- The singer/songwriter of Regional Mexican singer-songwriter & Gold record award-winning artist, known for her hits “Cosas del Amor,” “El Mono de Alambre,” “La Parranda,” and “El Cafetal,” among others. -Demon Jr. – Blue Demon Jr. a Mexican professional wrestler, born in the city of Mexico on July 19, 1966, and is the adopted son of the famous wrestler and renowned actor Blue Demon. He is the first NWA heavyweight World Champion from Mexico and the first masked luchador in 70 years to hold that globally respected title. -Alebrijes-Showcasing at the parade the four letters of the new image and the official name of Mexico City: CDMX and were designed especially for this Parade and its Hispanic community as a message of friendship from the CDMX. These Alebrijes will be donated to an institution in Los Angeles for permanent exhibition. 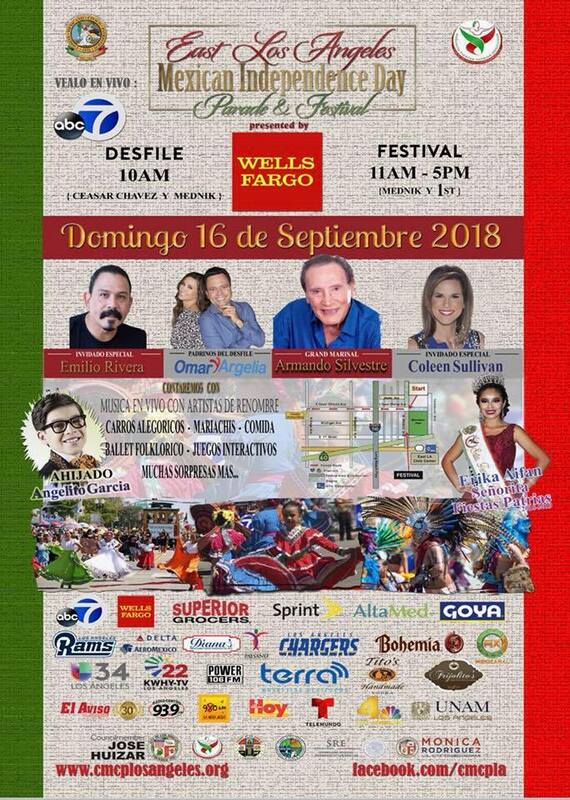 The East LA Mexican Independence Day Parade will continue with fun Festival follows right after with top talent and fun activities for the whole family. Come and celebrate Mexican Independence Day as we welcome many celebrities, community leaders, and dignitaries. 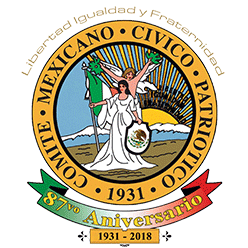 Comite Mexicano Civico Patriotico is a Non-Profit Organization founded in 1931. Since then, their sole purpose is to keep Mexico’s history, their culture, their roots, their traditions, their customs and their beauty alive! The members of this organization are very proud to continue to bring this tradition to the community of Los Angeles every year.